Italy’s Communications Authority (AgCom) has sent a recommendation to the Ministry of Economic Development, proposing advancing the analogue switch-off to the end of 2011. 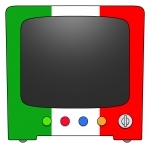 Speaking on the sidelines of a DTT conference in Rome, AgCom Commissioner, Roberto Napoli, said the ASO would be brought forward in Liguria, Tuscany, Umbria, Marche, Abruzzo and Molise to the first half of 2011 and in Puglia, Basilicata, Calabria and Sicily to the second half of the year. He added that the regulator would discuss measures to protect local broadcasters, “which, with the switchover to digital, will be faced with great difficulties, as evidenced by the trading of frequencies, which were sold at trivial prices.” Napoli added that the anticipation of the ASO would also make possible the early auction of the analogue frequencies vacated in the 800 MHz frequency band. AgCom also seems inclined not to exclude DTH operator Sky Italia from participation in the tender that will allocate six digital multiplexes to new players on the market, according to rumours in the Italian press.